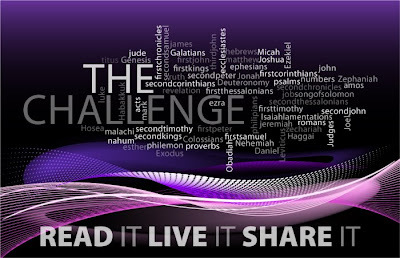 Pastors like to say "I challenge you to," followed by a verb. The verb is often "invite." The direct object is often "someone." This time of year, the indirect object is often "Easter service." However, many pastoral challenges culminate in witnessing or the memorization of Scripture. This can put you in the running to receive an iPod. 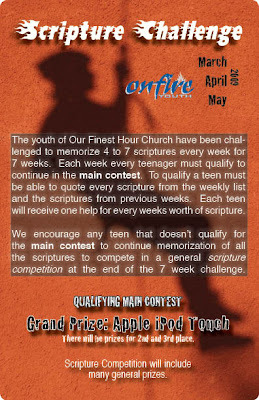 And for teens, a special "xtreme" challenge, in grungey font to attract their attention in ways Helvetica cannot. "Easter service" would be an indirect object. I believe "you" would be the subject. I think challenging seems to be like making an overt effort to get someone to DO something. But God doesn't want us to go around just DOING stuff. I don't know. What are your thoughts? I'm only going if there will be an "Easter Contada" put on by the choir. They've been rehearsing for weeks. Oh Yeah...The Easter Cantata...but that probably belongs on a site called 'things really old Christians like and no one outside the church you have ever met would be remotely interested in'. My least favorite form of this is when people in support raising ministry 'challenge' us to up their support. I’ll bet the language is recommended by the ‘how to raise support’ literature, because it is a pretty common approach. Incidentally, have you done one on support/’prayer’ letters (particularly those built around a single anecdote)? Perhaps you could further incite your intended visitor to come by purchasing an Easter lily to be placed on the altar in their honor. You could also remind them of the Easter breakfast to be served by the youth as a fundraiser between services to raise money for this summer's mission trip. A free-will offering will be taken. i have to tell you! i was looking at facebook last night and saw this guy wearing a tshirt that said, no joke, "she's worth waiting for." i wanted to email it to you right away, but since "the guy" is my cousin, i felt a small twinge of guilt! Stephy, I'll answer your rhetorical question. Isn't this "challenge" the old dichotomy of Mary and Martha: contemplation versus action? And who has the better part, asks Jesus. Of course, his response was dictated by a knowledge of his tenuous existence. Curiously I've rarely found a Christian group/church that speaks to the necessity of prayer and contemplation (except in their more traditional moments the Episcopal and Roman Catholic churches, perhaps because of their monastic groups). Evangelicals sing, hold hands, have prayer breakfasts, speak in tongues, canvas the wards...every thing of action and quite little of simple silence. I don't know what God wants me to "DO" or "NOT DO", as you wonder. And just obeying the Ten Commandments isn't enough because the estimable St. Augustine offered that we "love God and do what we will." So for my part I would challenge myself to realize the greatest part of my being in the light of God's revelation which is Christ. I recommend to you Thomas Merton's great book, Contemplation in a World of Action. Yeah, I think for the reasons you stated that's why it's a "challenge" and not a command. 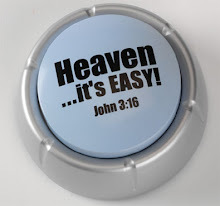 So when Paul says, "I urge you brothers and sisters to live a life worthy of the calling you've received" it is a "challenge" to live well but not a threat. So, Christian ethics is "act like who you are already by grace" & never "act this way in order to get grace". A more "Pauline" way to state it would probably be that Christian ethics is to "live now as we shall be then" but inclusion in the family of course is the starting point, "living right" only happens as a response. All that to say, I think, in a way, that "challenges" are exactly appropriate in that they say, "This is who you are! I challenge you to go and live like it." I sent out support letters for a summer project last year. I felt really bad trying to guilt trip people out of their money, so I said "or, you can just pray for me" as my little disclaimer. warn people who are crazy about Harry Potter. Rather stay away before you also have to experience the trauma that I did. Okay...."grungey font" vs. Helvetica is very funny. I just started reading this blog, and while I've been laughing and nodding my head at nearly everything I've read, this quote was so good, I had to comment. Thank you. i agree with you. church design/art have a way of being the lamest, trying-too-hard-to-be-cool sort. not gonna defend it. but just don't think we don't notice it. some do and wish for a change. I went to a Christian high school whose nickname was the Challengers.